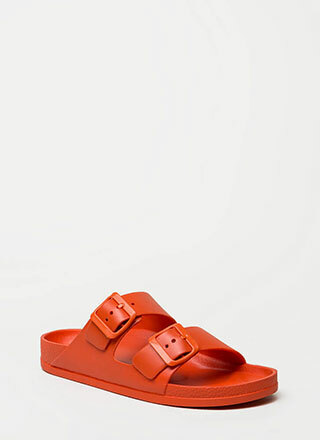 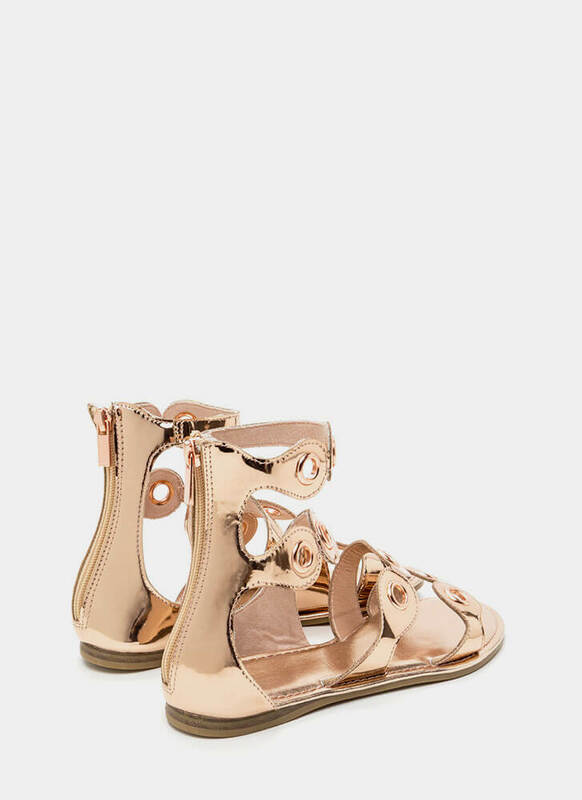 These strappy sandals pay homage to traditional gladiators with a stylish twist! 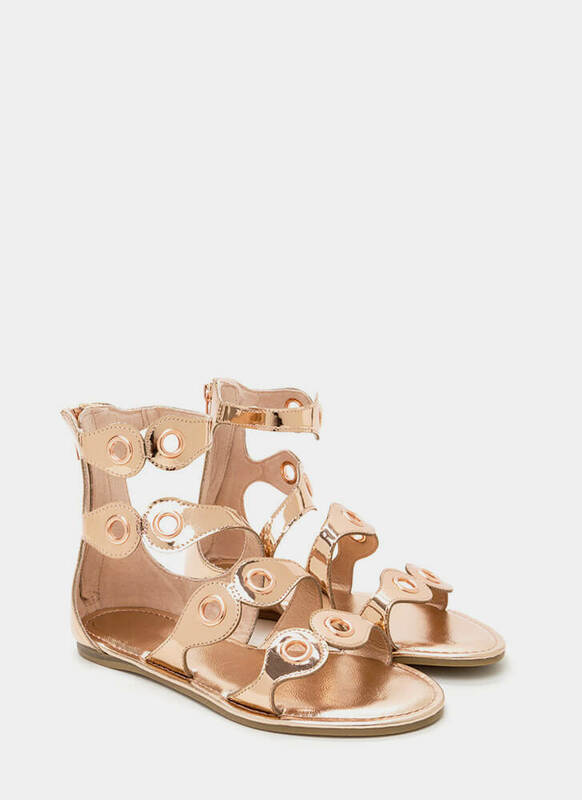 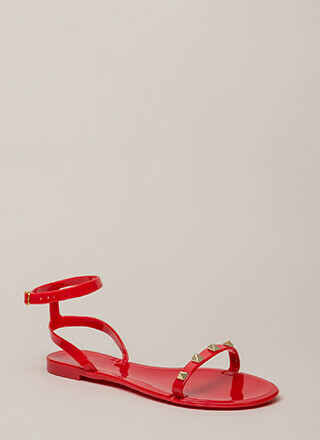 Metallic, open-toe, caged sandals feature straps with rounded ends embellished with metallic grommets. 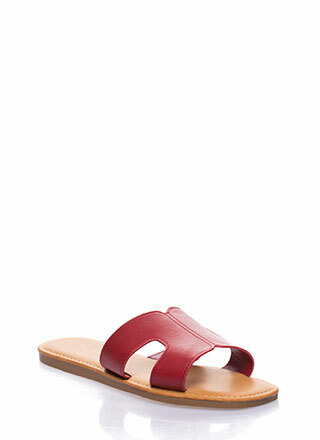 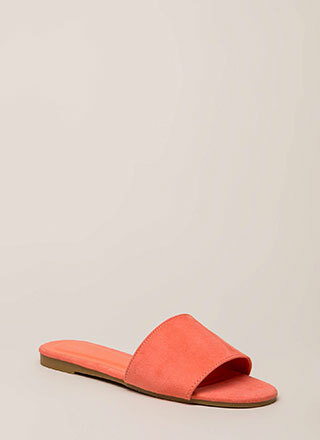 Gladiator sandals are finished with a rear shaft zipper and a ridged sole.